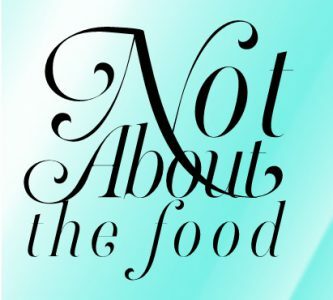 Living with a food addiction and succeeding. Understand when you are eating and identify patterns in your eating behavior. There may be a reason that you overeat or there may not be. There may be a legitimate reason that causes you to overeat but it doesn’t matter. You cannot change the past. First consider this – how does food make you feel? Do you understand the circumstances around when you eat? Are you rewarding yourself for doing something difficult, either emotionally difficult or physically difficult? Are you celebrating for good work or good news? Are you trying to comfort yourself in time of sadness? Are you enjoying the food—the smell, taste, or presentation? Is food a form of pacifier for you? Don’t have a reason—just do? You may make a list of the times that you eat (optional). You can either put the list together right now or keep a running list of the occasions that you eat. It could be a number of reasons. It is important to understand your patterns, your behavior, because you will need to use this information to help you learn how to help yourself change the pattern. What do you notice about yourself? There could be many different situations, you should record them all. The pattern still might be the same in all situations. That’s okay. Just start by recording or be mindful of the information, you don’t have to record and analyze at the same time. What has worked for you in the past? There might have been at least one moment in time that you wanted to eat but passed. Do you remember why? Were you embarrassed to eat in front of others or was it you simply didn’t like the food? When you are successful, take note of that – that is just as important if note MORE important. You might be anxious or excited to jump in and do everything you need to do all at once to lose weight. I used to say I’ll start on Monday and eat 1000 calories, drink a gallon of water, and exercise for 1 hour. I wouldn’t even last one day with that strategy. It’s important to take “baby steps” and focus on one aspect to get healthy at a time. Master that one new change until it becomes a habit or second nature before you move one. Remember even Amazon just started selling books. That’s how they launched and for years that’s what they sold. Their slogan was “we have more books than get fit in the Pentagon”. They sold books on-line incredibly well. Now look at them!! Be like Amazon – they rule and so can you! The first time that I have a memory of a body image for myself was when I was told that I looked like the Campbell Soup Kid. The “Kid” is the iconic cartoon image on the Campbell Soup can. I was probably pre-school or kindergarten age. At the time I remember feeling special and I had myself convinced that I was in fact the Campbell Soup kid. I remember skipping down the sidewalk with elation thinking I was famous. To this day when I hear the word “lunch” I picture a bowl of Campbell’s Chicken Noodle Soup. Luckily it never occurred to me that I resembled a chubby round-faced child and that could be a bad thing. That would come soon enough. What I also learned about myself is that I will spend a lot of effort and mind power justifying why it’s okay to have just one. I will say that this will be a good exercise for me to just eat the one. I will feel great just having the one and being able to walk away. However, I will not just eat the one, I will continue to eat. I will tell myself that 2 is a good number, no 3 is a good number, or this is all that I will eat today. If I eat nothing else today, I’ll be okay. Most days I would have eaten my daily quota by 3pm and then give up with the notion of “diet”. I’ll start fresh tomorrow so I’ll indulge today. It never turns out good. Do not do this. Start NOW, this MOMENT, not tomorrow. As stated previously, start by watching yourself and your behavior. This is a productive part of being on your way! Thank you Susan!! Love you! Thank you Charlene! Good luck to you! !